At Stafford Coastal Cruising Club we are a friendly group of people with an interest in sailing and motor boating; both sailors and non-sailors are always made very welcome. Whilst many members are boat-owners (with boats located both in the UK and overseas), non-owners are most welcome and there are opportunities to crew in this country and abroad. The Club hold regular meeting in the winter months (when most boats are laid up) and we have a wide ranging programme of events covering topics and activities with a nautical theme, it is also a great place to socialise and natter about all things marine. 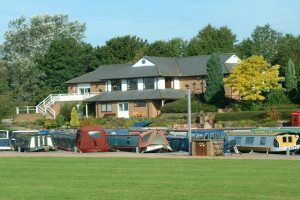 Stafford Coastal Cruising Club meets on the 2nd and 4th Tuesdays of each month, from September to end April, with a Barbecue held at the beginning of our season. We organise Club cruises in the Spring/Summer to give members the chance to get afloat. Meetings usually start at 8.00 pm at Stafford Boat Club Clubhouse (ST17 4SG). The Club is also an RYA accredited Training Centre running shore based courses in Stone and can offer practical and refresher courses in the Solent. 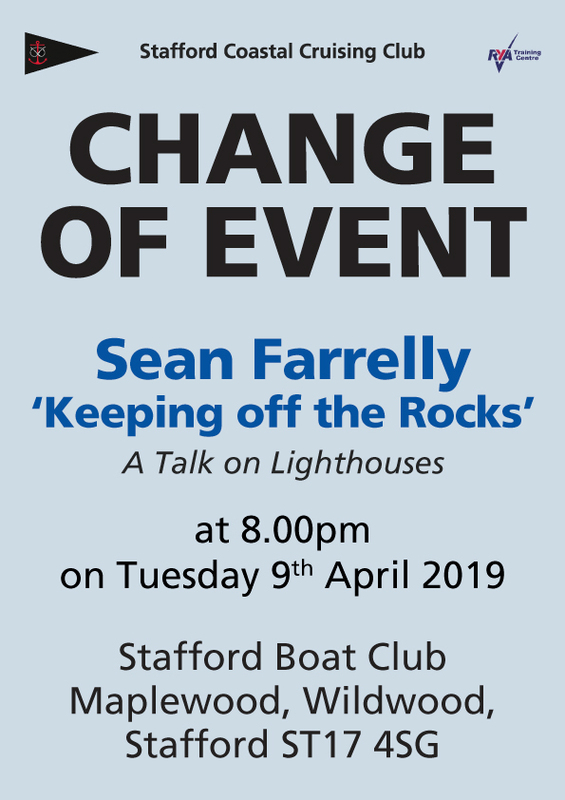 For further information please use the contact form, or you are welcome to come to one of our events at Stafford Boat Club Clubhouse, Maplewood, Wildwood, Stafford, ST17 4SG (see map on Contact Us). If you would like to apply for membership please use ‘Join Now’ button and our membership secretary, Rowena Cass, will be in contact.